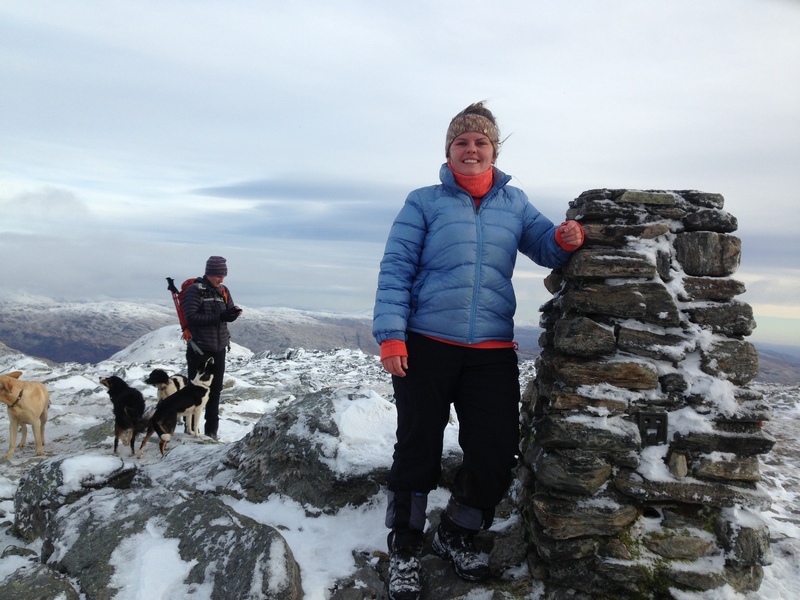 Karen Fotheringham is DofE Co-Ordinator and Head of Outdoor Learning and Religious Education at Queen Anne High School in Fife. We spoke to Karen to find out what she felt the benefits of volunteering for the DofE have been for her and the impact it has had on her own career progression. “I ran the DofE in my previous school for just over eight years, building up the numbers to around 50 per year across Bronze, Silver and Gold with a high completion rate. I had a team of staff that fluctuated over that time from just myself up to seven members. Since moving to my new job, we’ve doubled the numbers at Bronze and Silver so we now have 56 working at these levels and hope this will knock on to Gold next year, where we currently only have four starting their DofE and 10 finishing their programme off. “I’m training up six new volunteers who are absolutely delighted to be involved and give the opportunity to develop their own skills. Voluntarily co-ordinating the DofE over the years, managing budgets and recruiting colleagues to volunteer their time was very important in helping me get my current role as Principal Teacher of Outdoor Learning at Queen Anne High School in Fife, where I split my time between leading the Religious Studies department and developing outdoor learning. At interview I was able to refer to the skill set I have developed since being a DofE Co-Ordinator, that included managerial and leadership skills that I’ve taken with me into my current role. “Being involved with the DofE has improved my relationships with pupils, parents, colleagues and the leadership team within the school. By running the DofE they get to see you in a different light. Pupils see you as a person instead of just a teacher. “It also develops mutual trust and respect. For example, after I left my last school I decided to join the Gold participants on the last day of their expedition as a surprise. They were ready to quit on that last day, but because I was there to help and encourage them, they continued and successfully completed their expedition. Several of the parents said that the young people would not have completed if I wasn’t there. That just shows how much trust they place in you to see them through. The trust built by taking young people on expedition spills into the classroom. They trust you in the classroom because they trust you on the hills and other pupils see that. “I’ve also developed my group management skills by volunteering for the DofE. When you take young people out on expedition you need to have good control of them as a group because it is a higher risk environment. Having the ability to get pupils to listen in a risky environment makes it a lot easier to make them listen in a safe environment. It’s made me more capable and calm in the classroom. “I’m constantly amazed and delighted at what the participants do to complete the DofE. We should never underestimate what young people are capable of and when you see what they can do for their DofE, it raises your expectations of what they can do in the classroom – it raises your expectations of what all pupils are capable of. “I would definitely recommend that new teachers volunteer for the DofE, whether on expedition or supporting them in the other aspects of DofE, as for me it’s been the most rewarding part of my teaching career. Teaching can be a challenging career and I’ve found that volunteering for the DofE, while at times equally challenging, has been so enjoyable that it has kept me in the profession whenever I have considered leaving it.